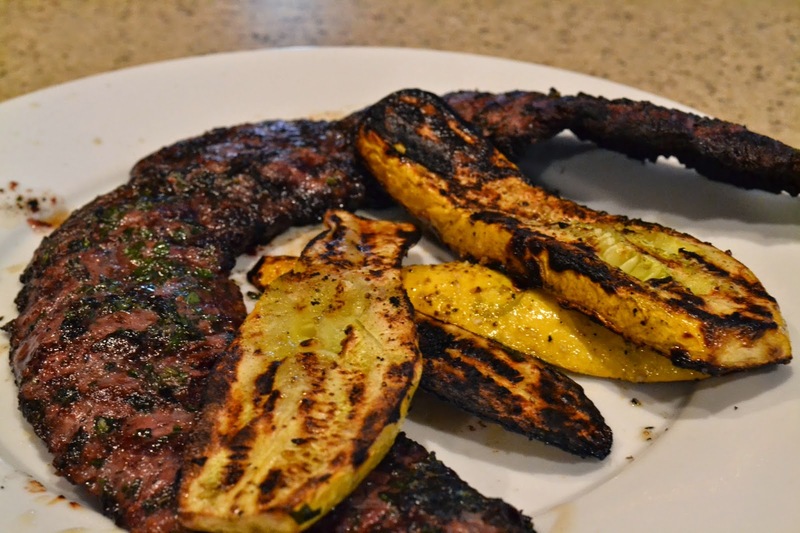 Skirt steak is one of those cuts of meat that I haven't thought very highly of in the past. 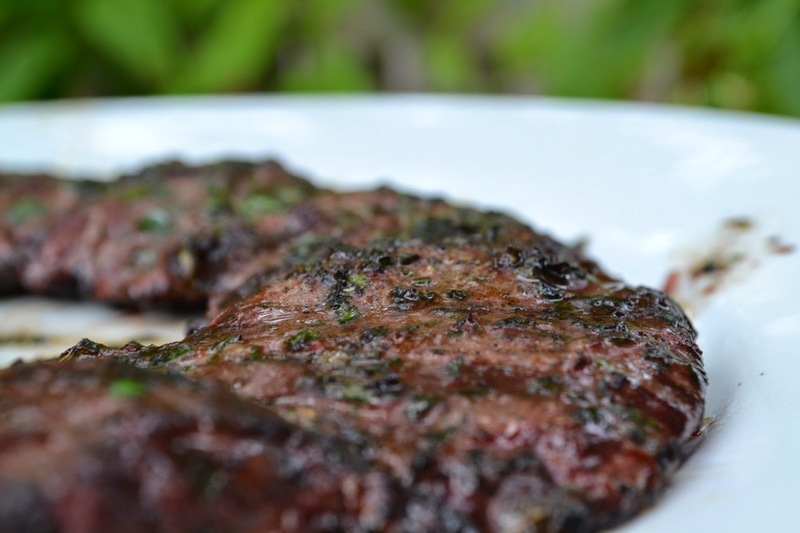 I am used to a traditional skirt steak with a chimichurri sauce, rice, black beans, and plantains that his hopefully consumed on some caribbean beach patio. Ours, however, will be served with our own fresh garden vegetables and herbs from our potted garden on our deck. Now featuring a drip watering system that has much improved my life. A whole separate post that I should do because it has been quite the learning curve. And come on, doesn't a few pages on drip irrigation sound like the most interesting thing in the world to read about? We simply googled around and found Cindy's table. We modified the cook times to be a little more rare but it was based on 500 degree Egg then 2 minutes each side, after 2 minutes on the second side we closed down the egg completely and let it cook for 4 more minutes. 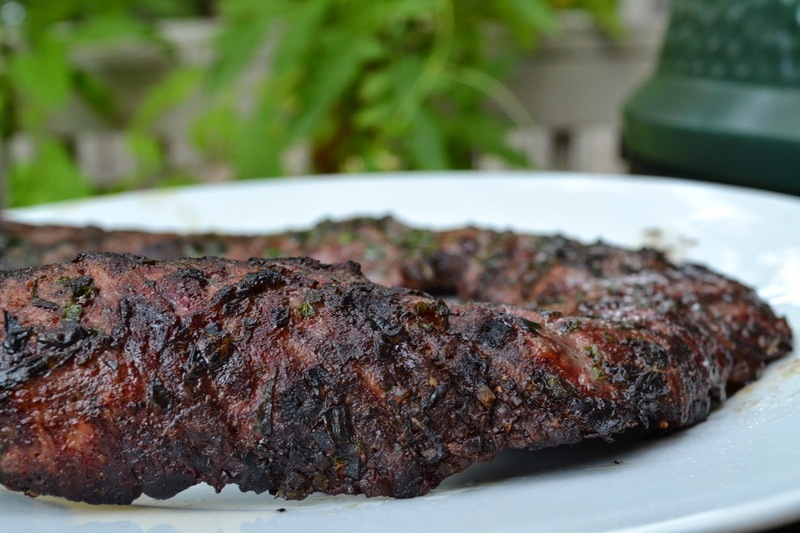 Skirt steak approximately 1 lb. We purchased ours from the local Whole Foods. 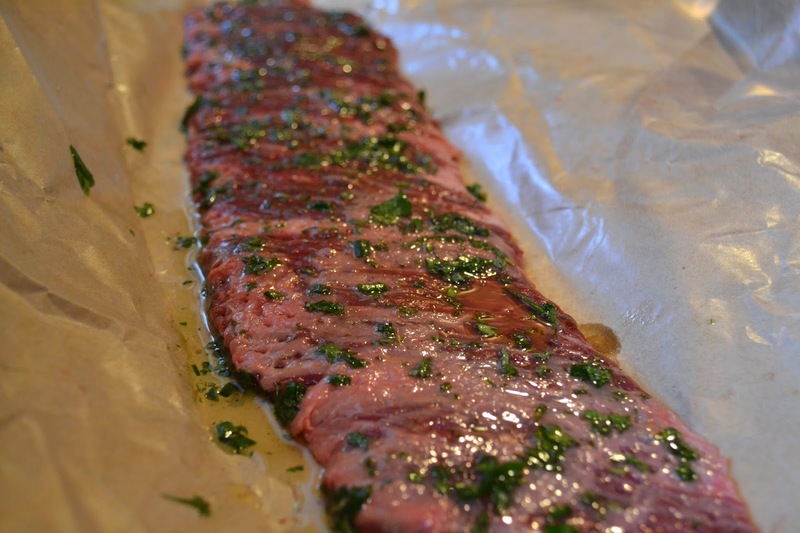 We made a paste using the herbs and olive oil then rubbed down the meat and let it marinate for 2 hours before pulling from the fridge and letting it reach room temperature. 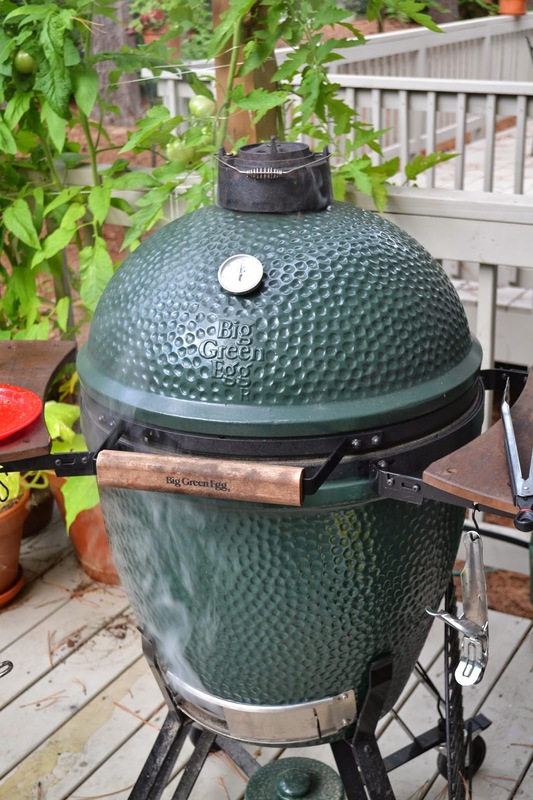 Heat the egg to around 500 degrees, Direct heat with cast iron grate. Cook 2 minutes each side then shut the grill down completely closed and let it cook for 4 more minutes. Pour a glass of red wine people, we are having a red meat. 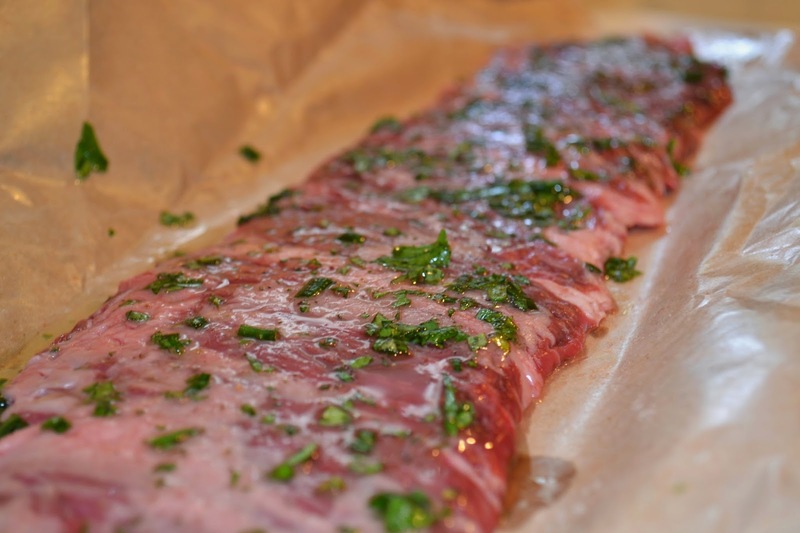 Rub down the meat and let it marinate for 2 hours in the fridge. Then pull it out and let it reach room temperature. After two minutes, shut down the top completely. Let it rest for 10 minutes or so at least. Then serve! 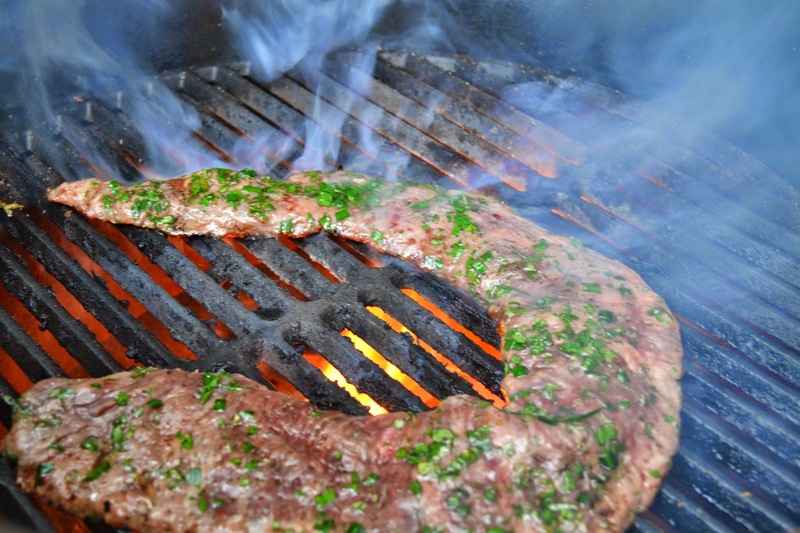 It is important to slice the meat against the grain in thinner strips. It helps make it seem more tender. 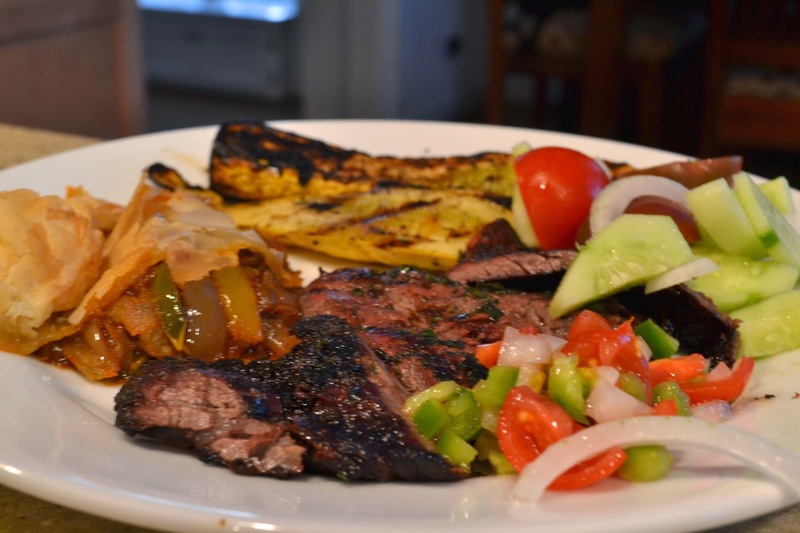 This was the best skirt steak I have had and I am now a big fan. It is usually really chewy and tough but this was not. It had a nice char, it wasn't very tough, slightly chewy as you would expect but overall, I was blown away. All I needed was a beach, a corona and a bunch of people talking in a language that I don't understand. Make this one. 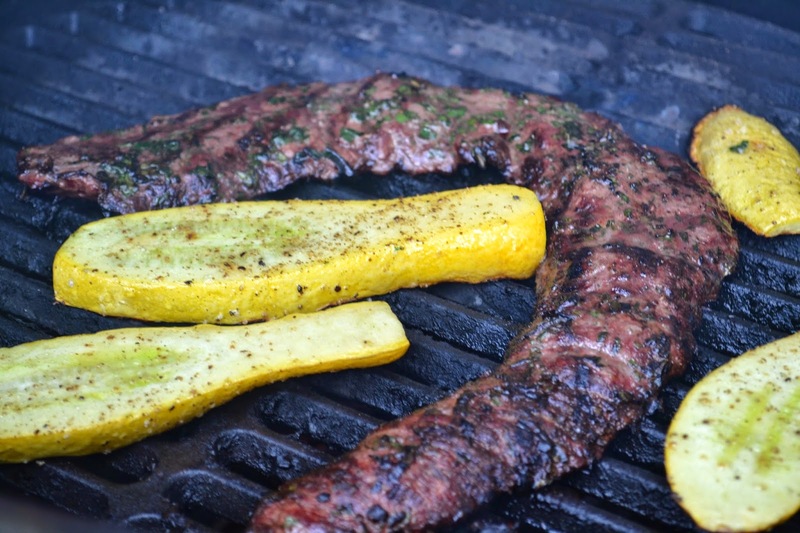 You will love a really good skirt steak. I suppose I didn't know what a good one should have tasted like.